Did you know that over 70% of adults actively use & engage Social Media. Our Staff Will Make Sure The World Hears About Your Business! Our social media custom content is created and focused for social media conversations, and it can be integrated for seamless publication on Facebook, Twitter, LinkedIn and other networks. 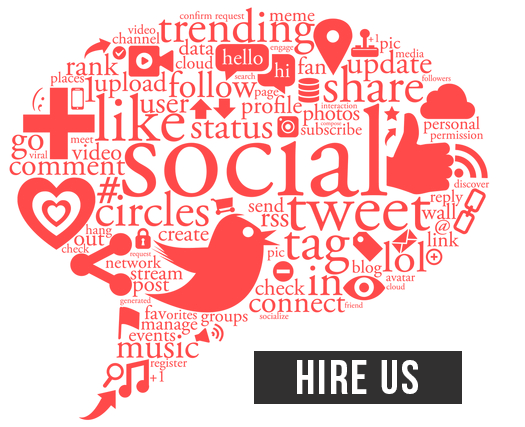 Our social marketing staff can also help you boost your fans and followers to maximize your content’s social reach. Social users see these relevant and interesting conversation threads – with your content at the root – and follow through to become new leads to your website. The main goal of our Facebook social media management service is to increase the engagement rate with the fast growing network of targeted Facebook followers. Depending on the invested budget set aside for your social media campaign we will direct our process to publish articles, imagery, and video content that have a proven track record of being shared within targeted Facebook. This allows us to send high converting traffic to pages within your site that reinforce social media marketing via sharing. As with all other important social media networks like Twitter, Youtube, Instangram and Linkedin we leverage our content marketing system to push targeted traffic back to the our client’s website. The end goal is to drive more revenue from social media marketing. This is accomplished by creating optimized in demand content that creates the highest click through and share rate. You must be ready to show the world why your product or service is the only one they will need and emerge your brand into the social media universe with confidence backed by quality content. Don’t worry if you “don’t get this social media thing” as of yet. Results and sales speaks volumes and once you see the benefits of a solid social media plan you will never look back.